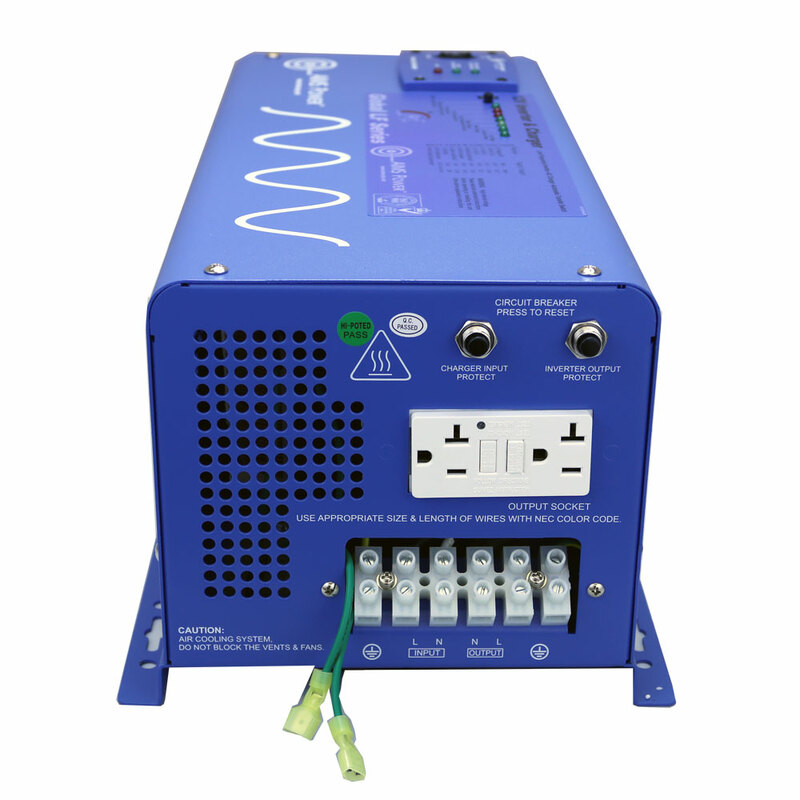 This 2000 watt 48 volt low frequency AIMS Power inverter charger is three products in one. An inverter that transforms DC (direct current) power stored by batteries into AC (alternating current) electricity that can be used to power tools and appliances of all varieties. A built-in 30 amp transfer switch, which will automatically detect when you’re switching from shore power to battery-bank power. 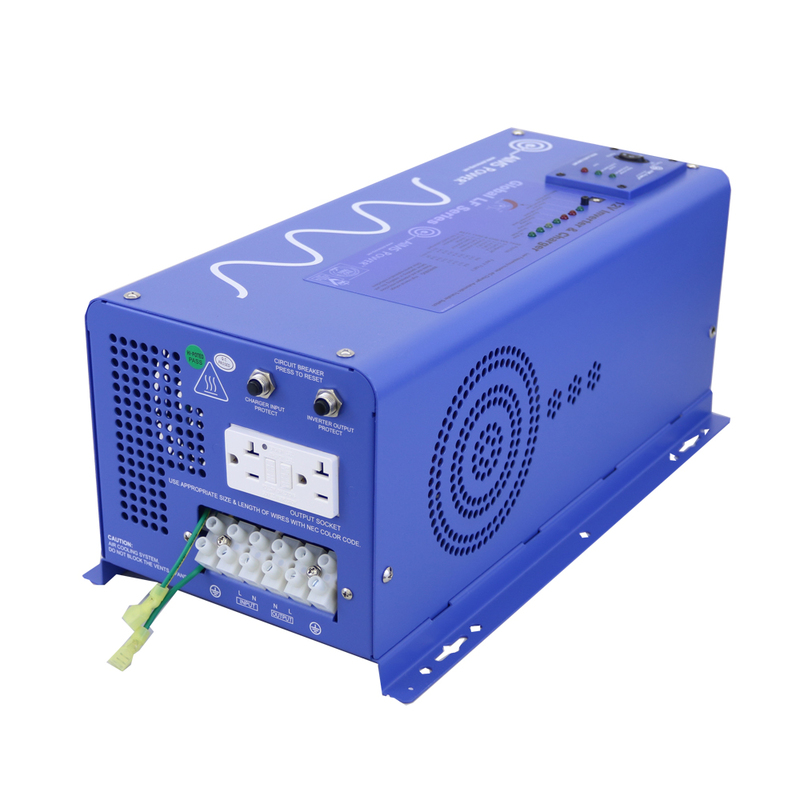 A built-in 15 amp battery charger which uses AC power, like from the grid or from a fuel-powered generator, that can be used to recharge a battery bank as well. The battery-type selector on the top of the unit allows the ability to adjust the voltage provided to the bank. Combine this inverter charger with a deep-cycle battery bank for off-grid, mobile and emergency backup power. This inverter is also available in 12 and 24 volt models. The 2000 watt 12 volt Pure Sine Inverter Charger and 2000 watt 24 volt Pure Sine Inverter Charger are in stock and ready for same-day shipping as well. 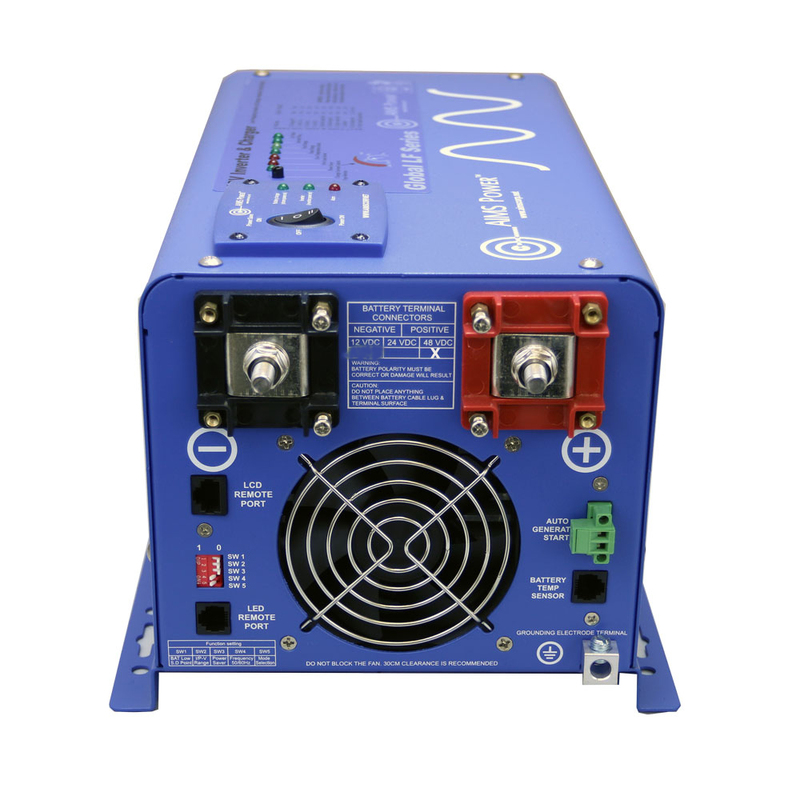 Check out the 4000 watt low frequency AIMS Power inverter charger for a comparable unit that can handle the startup surges (up to 12,000 watts for 20 seconds) of tools with larger electrical requirements, such as an air compressor. 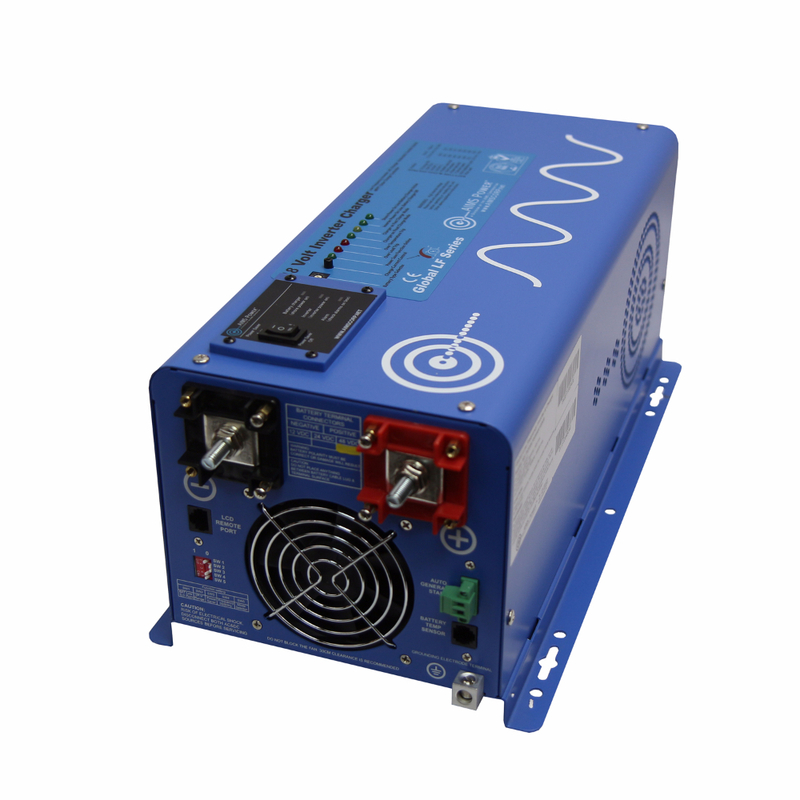 As with all AIMS Power inverters, the PICOGLF30W48V120V is covered under a 30-day money back guarantee as well as a one year manufacturer’s warranty and free technical support.